Cash is being distributed in new and inventive ways to save lives and to give vulnerable people their power back. The traditional image of aid may be crates of supplies being shipped by land, air, and sea into countries in crisis, but for more than a decade Concern Worldwide has been helping to change the paradigm. How? By distributing cash — rather than goods — directly to vulnerable people, and using the most up-to-date methods to do it. In 2017, we distributed almost $35 million worth of cash. And we’re not alone – it’s becoming more and more common in humanitarian efforts worldwide. Why? Because it works. It’s cheaper. It is far less expensive to get cash into a country than it is to ship thousands of metric tons of food. It’s quicker. In a humanitarian crisis, it can take weeks or even months to transport supplies into hard to reach areas. By contrast, once a cash distribution system has been put into place, vital funds can instantly reach thousands of people, regardless of their location. Cash gives people choice. Instead of giving each family one bag of grain, which may not be their most urgent need, cash allows them to purchase precisely the resources they judge to be most essential. Cash can empower. Our mission is to empower people to transform their own lives. Providing cash gives people autonomy and responsibility to help pull themselves out of poverty. Cash can be invested. Just a small amount of seed funding can help people start their own business and become self-sufficient. People might abuse the system. Of course, there will always be some people who spend their money on non-essential items — it’s a fact of human nature. But in our experience, the vast majority of people in dire straits will spend responsibly. Often cash grants are accompanied by a few conditions. Recipients may, for example, have to take part in an educational program, work, or enroll their children in school. A great deal of efforts and community consultation is put into finding the most suitable participants. Recipients could become dependent on the cash assistance. There is also a fear that recipients might not bother to work and will only survive on handouts and never break out of poverty. But our program results have shown that, with the appropriate guidance and support, people quickly learn how to invest the money they receive to secure essential resources and assets and to build sustainable incomes for themselves. Extra cash could drive up the cost of living. Economic theory suggests that injecting too much money into an area at one time could adversely affect prices and thus increase the cost of living. To combat this, extensive market research is done to establish whether cash would help or hinder a community. The cash that is distributed is also closely monitored and Concern analyzes how it is impacting the local economy. One of the great advantages of cash is that it does not need to be distributed in physical form. Concern uses many different forms of cash depending on the logistical and economic realities in each country. One form of cash-based assistance we use is an e-voucher. 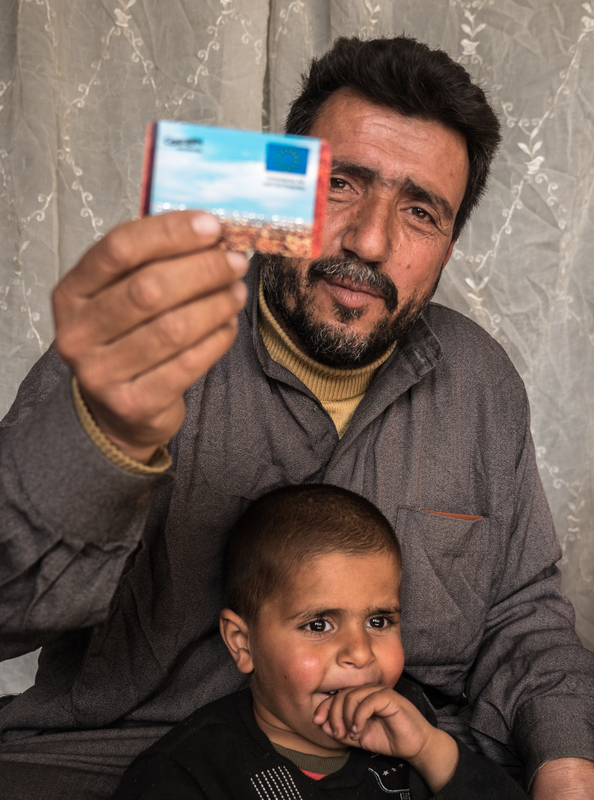 “Concern gives me some hope, because I can feed my children with the food I buy with this e-voucher”. In refugee camps in Turkey, markets and shops are readily available, well-stocked, and accessible. To help Syrian refugees achieve a sense of autonomy and control, Concern gives e-vouchers to help families pay for accommodation and food in the local shops. The vouchers have several benefits: recipients have the freedom of being able to choose what they spend their money on, while Concern retains the ability to control how much is spent and where it is spent. Ahmed Ahmadi, his wife Bana, and their 7 children moved to a refugee camp in Turkey in 2017 from Syria. At the local supermarket, Bana told us “Concern gives me some hope because I can feed my children with the food I buy with this e-voucher”. One of the great things about cash is that it can be invested to get more cash. 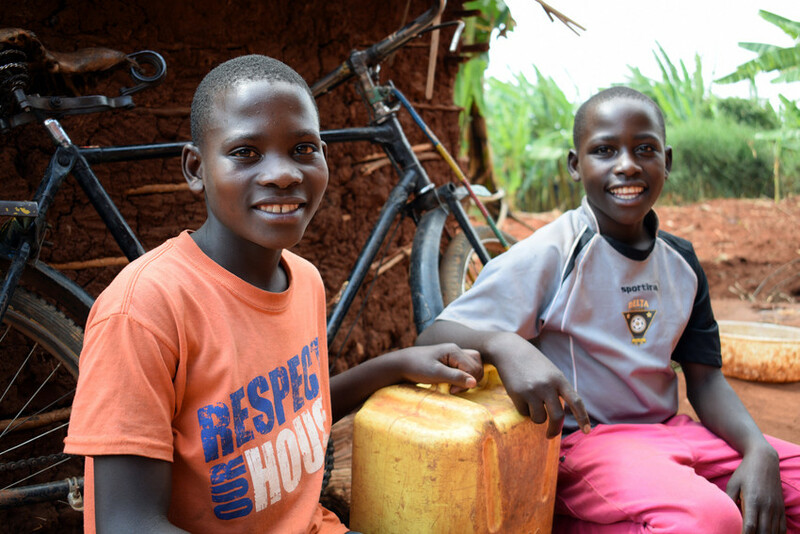 Orphaned brothers Jean (17) and Clovis (14) from Burundi are perfect examples. They used a series of cash grants they received from Concern Worldwide to buy a bicycle, which they use to collect water from a lake two kilometers away and sell at a profit in their village. 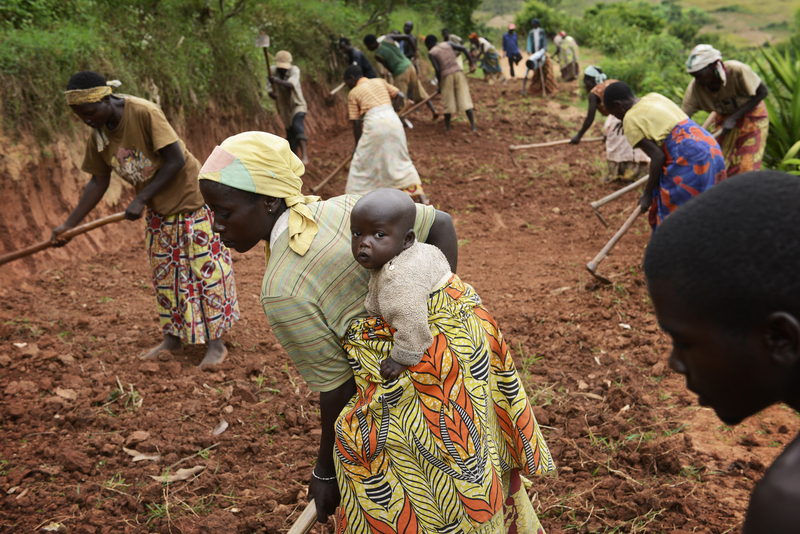 They are already earning up to $2 a day — well above Burundi’s per capita income of 77c per person. The future of cash-based assistance may well be based around a form of blockchain. This is a “digital ledger” in which transactions made in bitcoin or another cryptocurrency are recorded chronologically and publicly. This makes all cash transactions more transparent. You can see who received the money, how much they received, and what they spent it on. This method is already being used in the Zaatari camp for Syrian refugees in Jordan. As part of its Building Blocks program, The World Food Programme set up eye scanners, where participants can simply scan their iris to pay for goods and services. The system uses biometric data collected by the UN Refugee Agency to confirm the identity of the refugee, then it checks their account balance and processes the transaction. The system prevents fraud, allows for better tracking of aid, and provides an easy way for refugees to pay for things they need without relying on cash or physical vouchers. Concern has found that under the right conditions, cash-based assistance has more positive outcomes for recipients than traditional assistance. And of course, the more efficiently we can deliver aid, the better — because it means we can reach more people who desperately need our help. Last year, 1,130,808 people in 20 countries directly benefited from Concern’s cash-based assistance… and that number is set to rise in the year ahead. 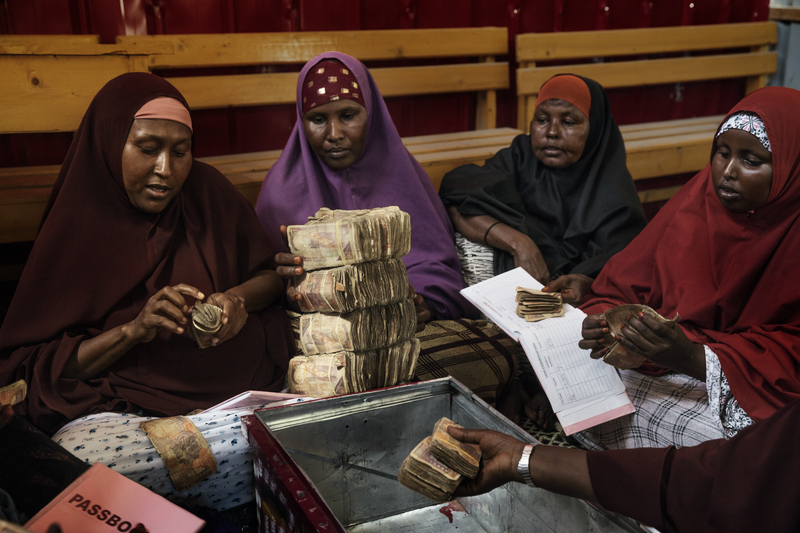 As simple as it might seem, cash is a powerful agent of change that will continue to transform the way we provide aid to vulnerable people in the future.